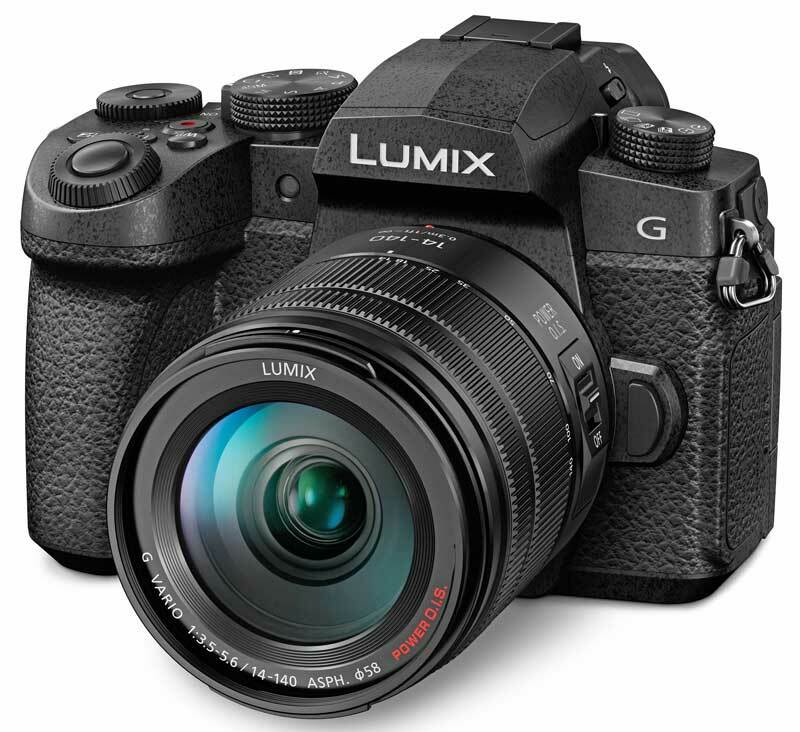 Panasonic Australia has announced the $1499 (body only) Lumix G95, a new weather-sealed, video-oriented mirrorless M43 model. It offers video shooting with ‘no recording time limit’; V-log L pre-installed, allowing more latitude for grading and editing shots; 4K Video; Full HD high speed video to capture slow-motion recording; 3.5mm microphone and headphone jacks; and a flip-out screen. It houses a 20-megapixel sensor; 5-Axis Dual IS 2 stabilisation; and an OLED Live View Finder. The Live View Composite feature is designed for long shutter opportunities such as astrophotography, waterfalls and seascapes, where photographers can see a real-time preview of the shot. Video: 4K 3840 x 2160 at 30p/25p/24p and real-time image output to an external monitor/recorder via HDMI at the same time as recording video internally. High Speed Video lets users record slow motion video in Full HD at 120 fps (1/4x), 90 fps (1/3x) and 60 fps (1/2x). V-LogL features log characteristics with 12 stops of dynamic range. The 3.5mm microphone jack and headphone socket support professional recording in the field. 4K Video with 4K Live Cropping for stable panning and zooming during recording; and 4K Photo with 4K Pre-burst mode which shoots 30 frames per second before and after the shutter is released. Sequence Composition, Light Composition, and Auto Marking which makes it easier to select the best shot from hundreds on a reel by highlighting images that contain movement or faces. Post Focus mode allows the user to choose the focal point of an image after the shot has been taken, while Focus Stacking combines focal points to achieve complete foreground to background focus. Durable, ergonomic build: Easy one-handed operation of camera controls is supported with three buttons on top of the camera for adjusting exposure, ISO and white balance. Magnesium-alloy full diecast front frame. Weather-sealed splash and dustproof body. Optional battery grip (DMW-BGG1) supports extended shooting and doubles battery life. New Lumix G Vario 14-140mm F3.5-5.6 II ASPH POWER OIS (H-FSA14140), features a splash/dust-resistant design. 2360-dot OLED Live View Finder (2360K-dot) has a magnification of 0.74x (35mm camera equivalent) with a time lag of less than .01 sec and a 10,000:1 high contrast ratio. An eyepoint distance of around 20mm improves visibility and comfort for glasses wearers. Vari-angle touch-control 3-inch LCD rear monitor (approx.1240K-dot) tilts up and down by around 250-degrees. Image sharing: Share images with smartphones using Bluetooth 4.2 Low Energy connection and 2.4GHz Wi-Fi® (IEEE 802.11b/g/n). Images can be geotagged, and smartphone can be used as a remote control. The camera can be charged on the go via USB cable direct to the camera, anywhere there is a USB power source. Advanced stabilisation: 5-Axis Dual IS with a gyrosensor comnplemented by 2-axis optical stabilisation in some lenses for ‘up to five stops slower shutter speeds in both photo and video’. Advanced AF: High speed burst shooting at 9 fps (AFS/MF) or 6 fps (AFC), at up to 600 (JPEG) / 30 (RAW) images; Face/Eye Detection AF, Pinpoint AF, One-shot AF and advanced Low Light AF. Focus peaking is available for more flexible manual focusing. Bracketing modes available include focus, aperture, exposure and white balance bracketing. The G95 will be available in Australia from June.